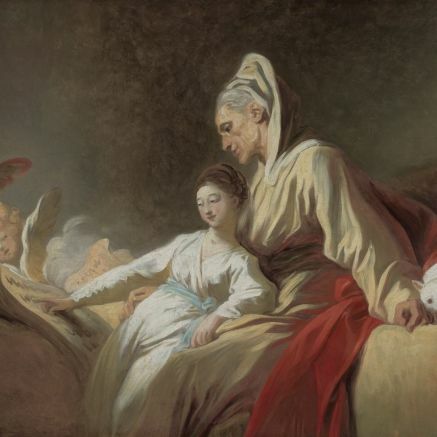 Fragonard - TripImprover - Get More out of Your Museum Visits! Who is Fragonard? Jean-Honoré Fragonard was born in 1732 in Grasse in the Southeast of France and died in 1806 in Paris. He started his career as a fairly traditional artist, but during a trip to Italy in his late twenties, he started to become interested in more theatrical works. He got inspired by the works of artists like Hals, Rembrandt, Rubens, and Tiepolo, and decided to create colorful, chaotic paintings about love and happiness. However, his new style of painting was not well-received by everybody, and he still continued to paint some more traditional religious works on commission. After the French Revolution in 1789, Fragonard continued to paint, but his name was forgotten quickly.